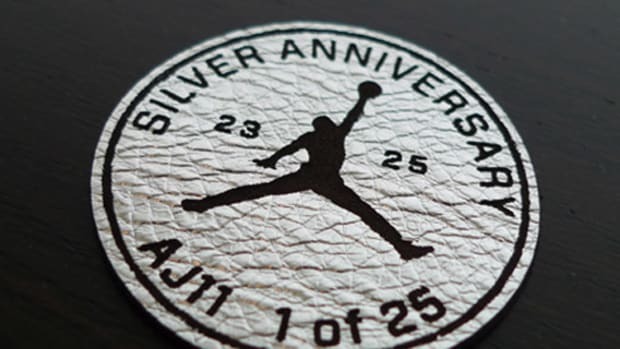 As Jordan Brand continues their 25th anniversary, the celebration of the brand continues in the form of two collections that unified the colorways of the main releases from the past 25 years. 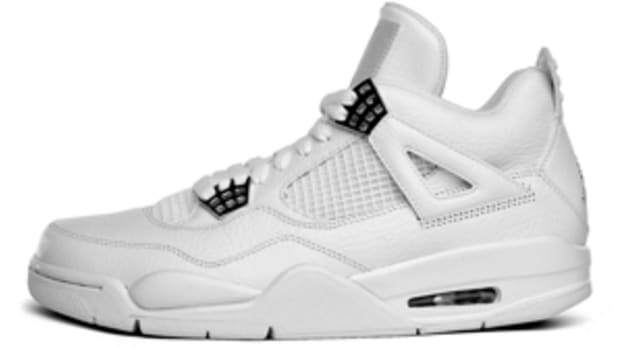 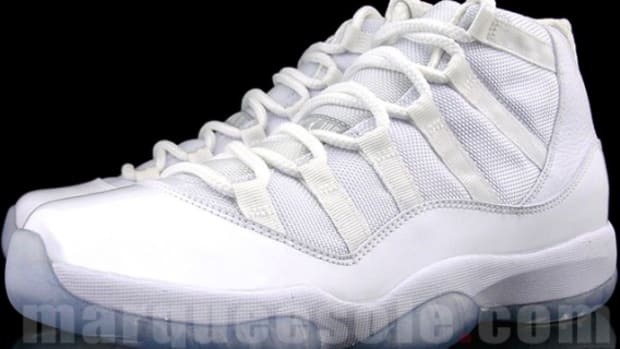 One collection featured the entire line in white and red, while the more recent release was of the purest colorway possible -- white on white. 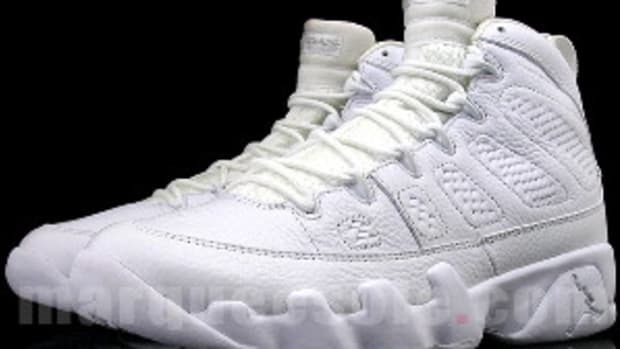 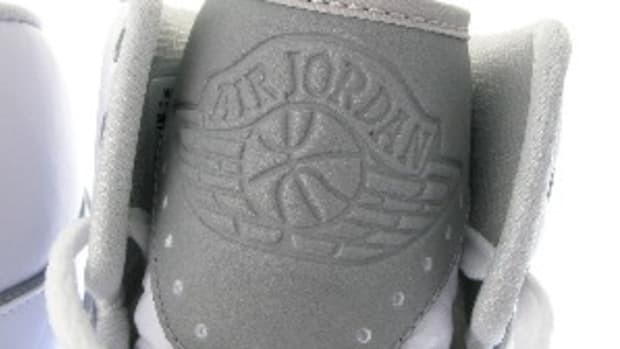 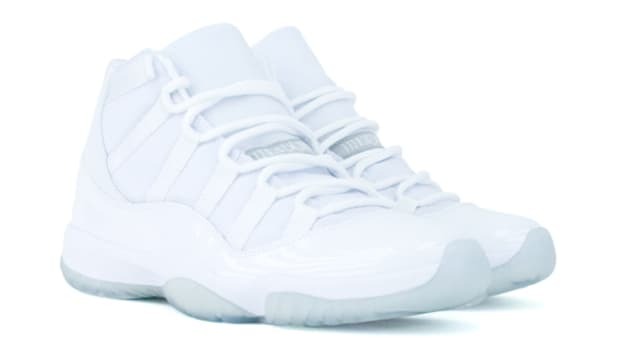 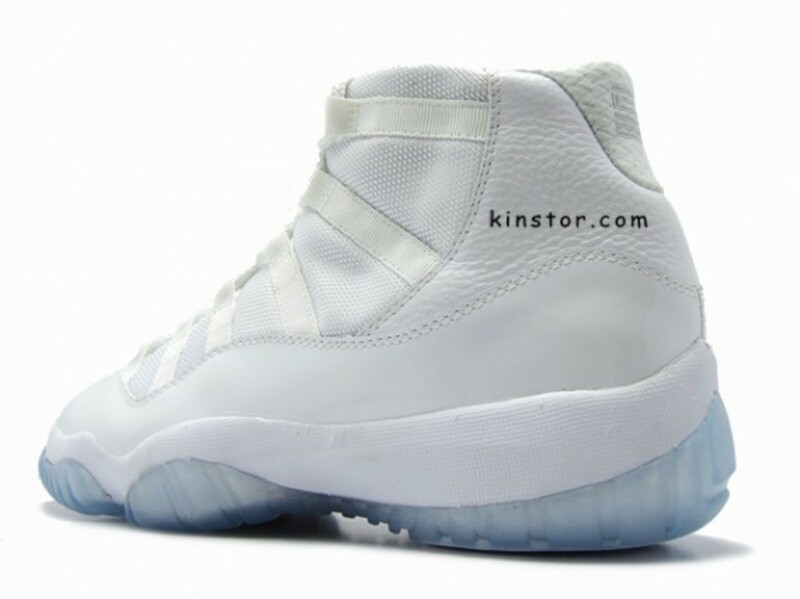 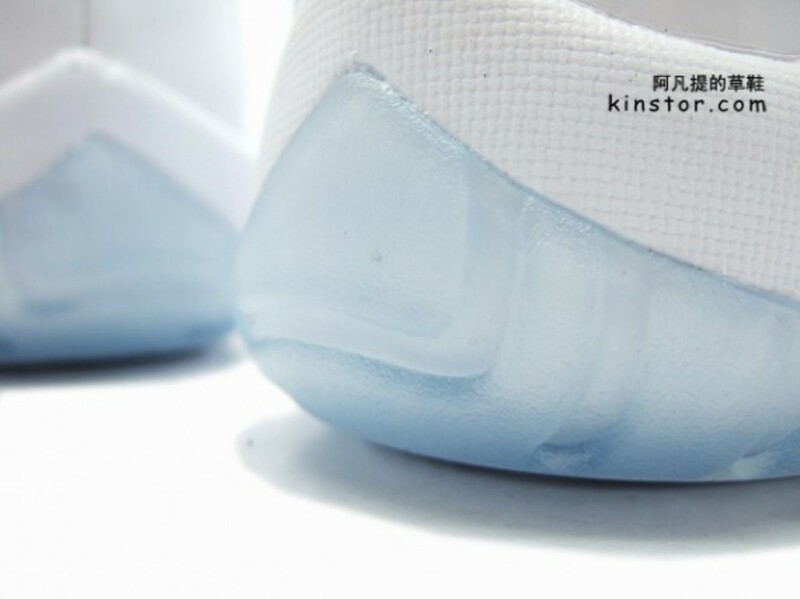 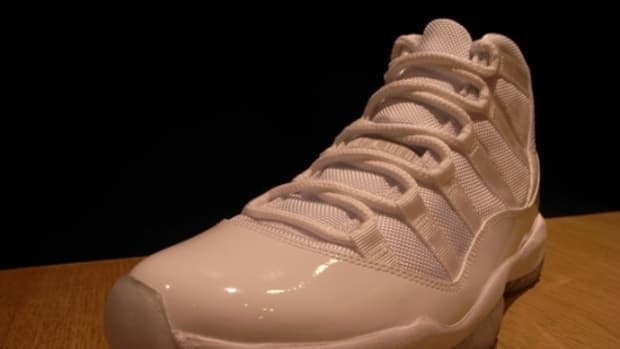 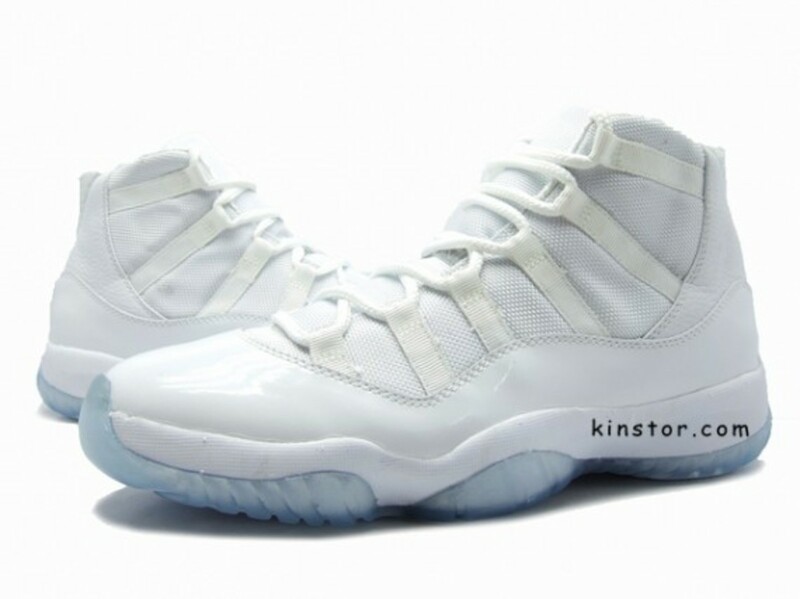 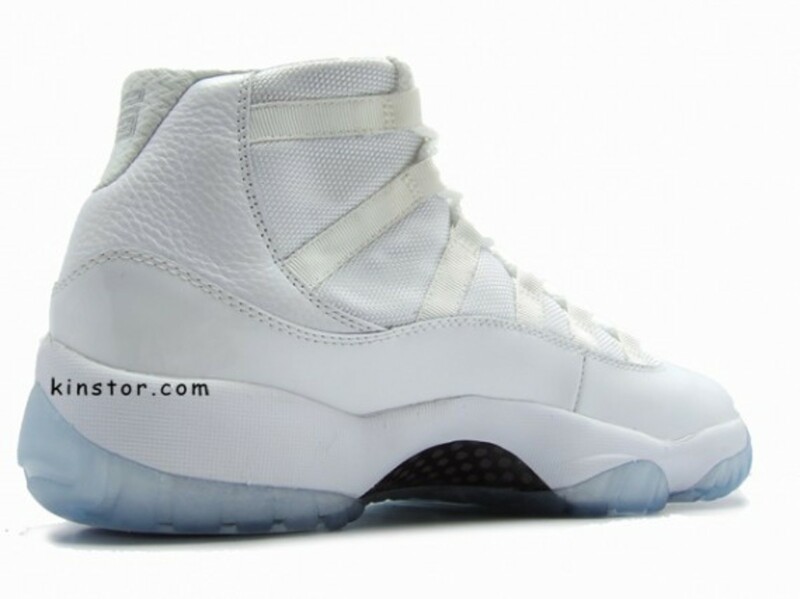 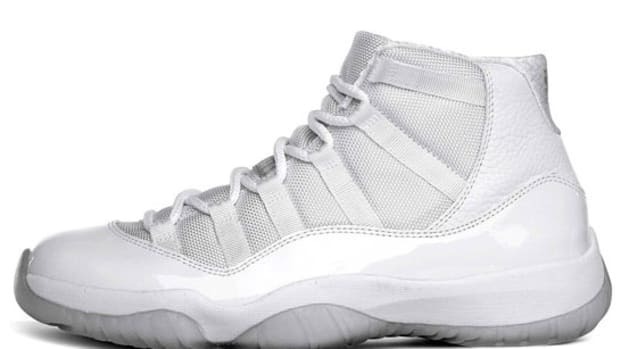 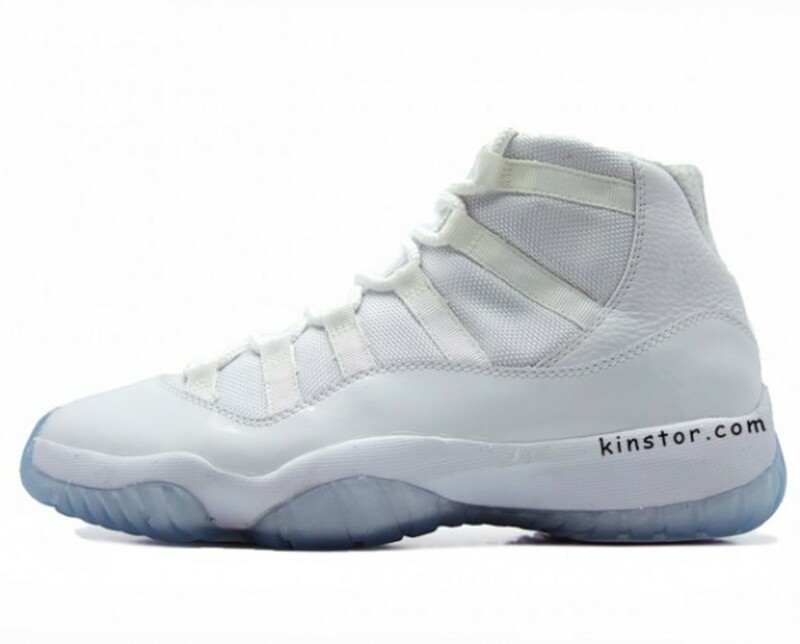 In what is arguable the most popular of all the 25 Jordan sneakers, the Air Jordan XII (11) is shown here in a frost-bite cold white on white colorway with clear soles. 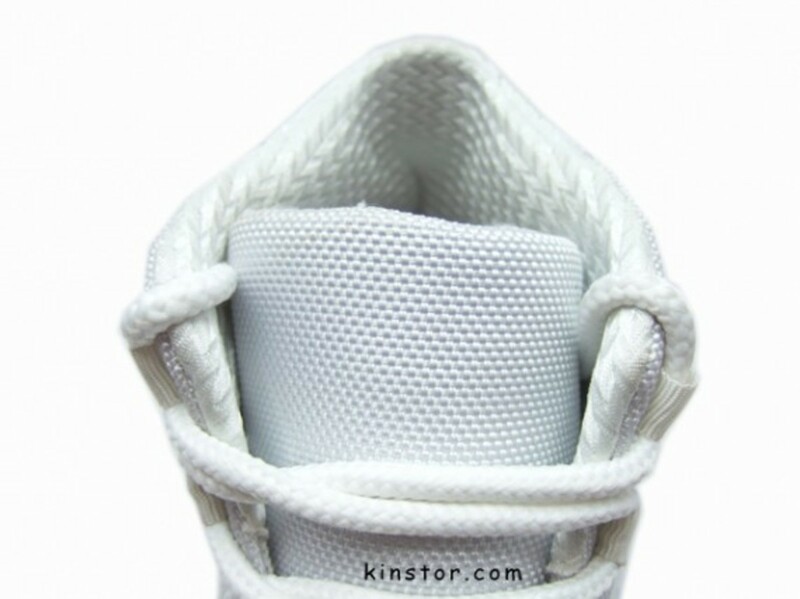 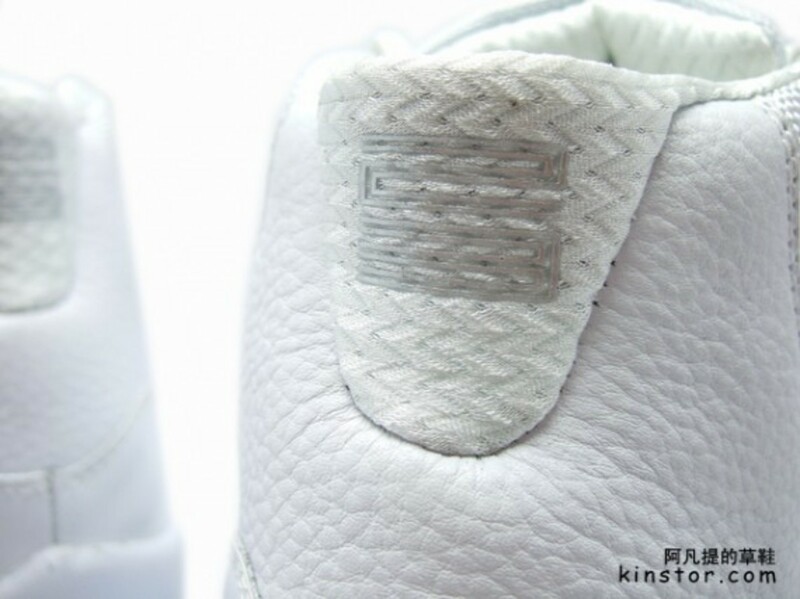 By reducing the colorway, the various contours and materials employed on the sneaker shine. 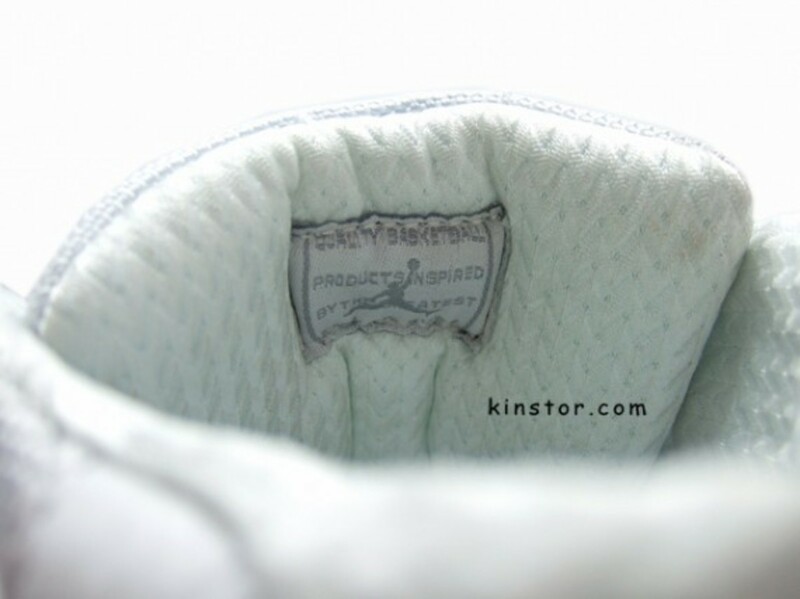 In this case, the use of premium leather on the heel instead of smooth leather adds a textural contrast to the patent and nylon employed elsewhere. 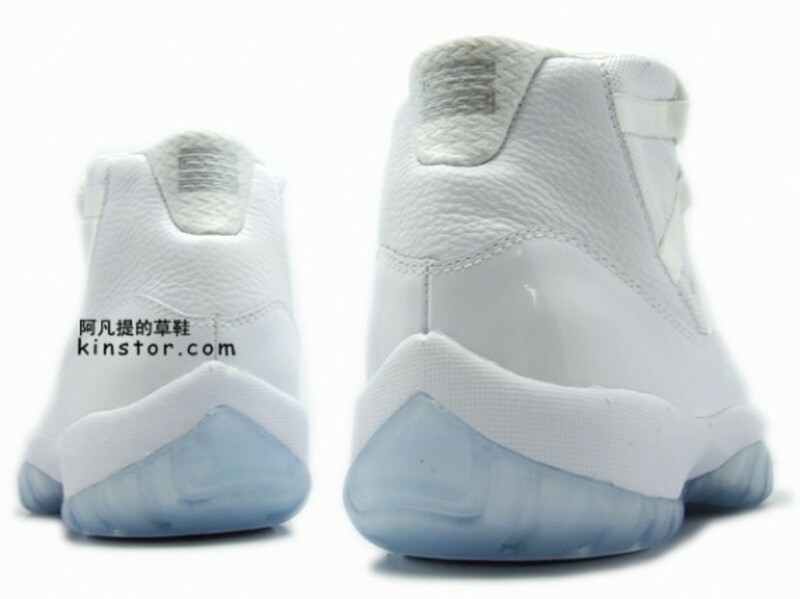 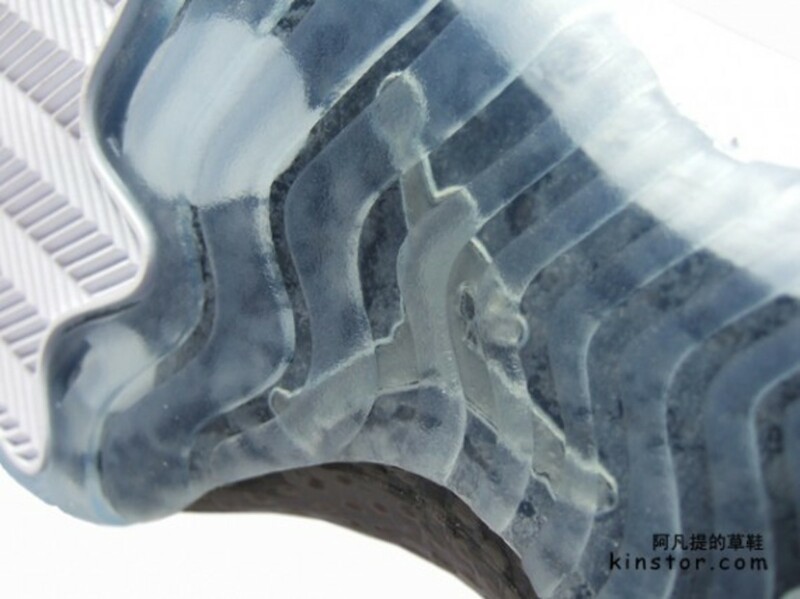 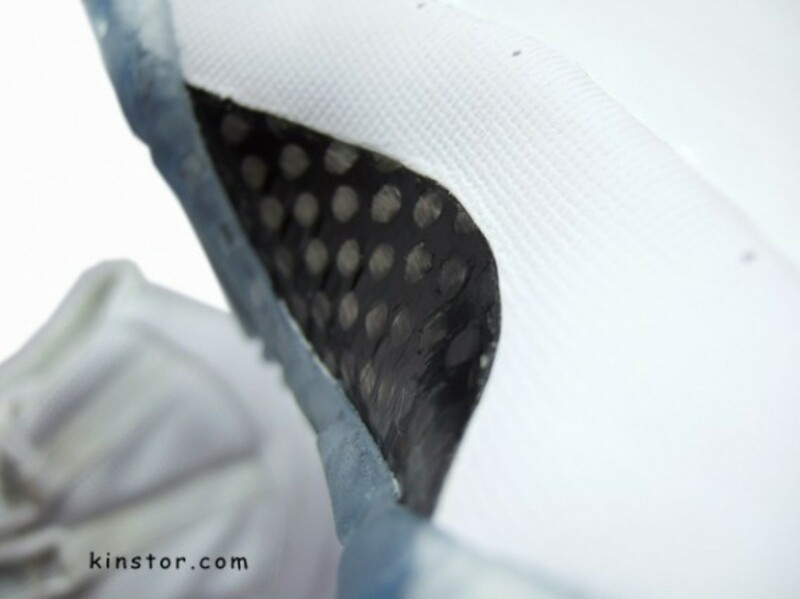 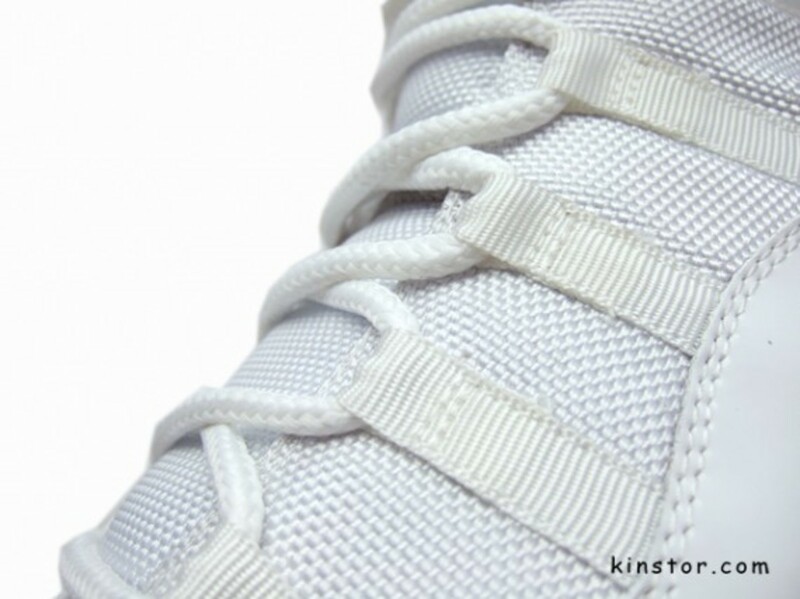 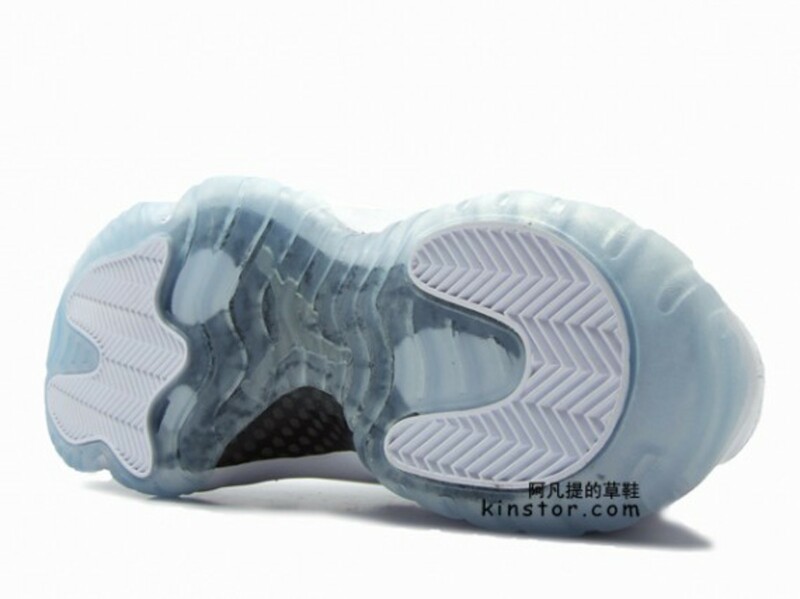 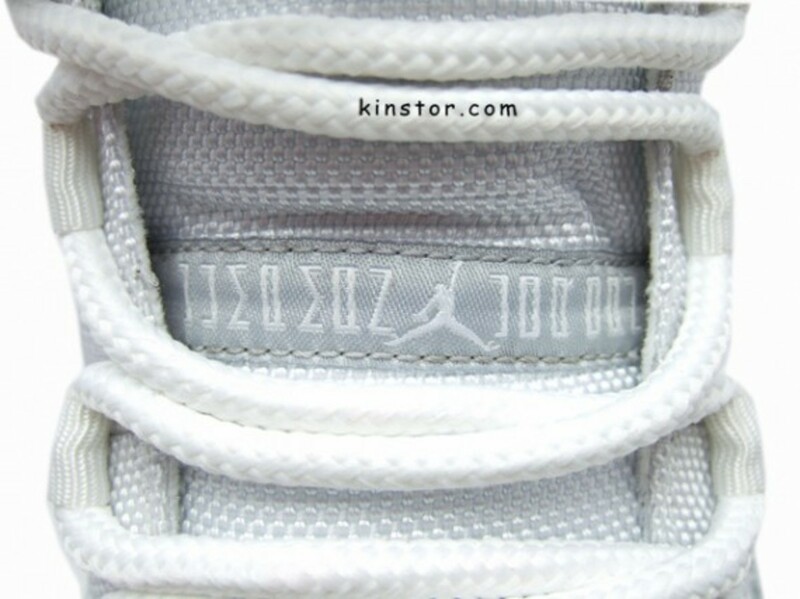 The clear soles are even accented by the checkered carbon-fiber structural element on the outsole.